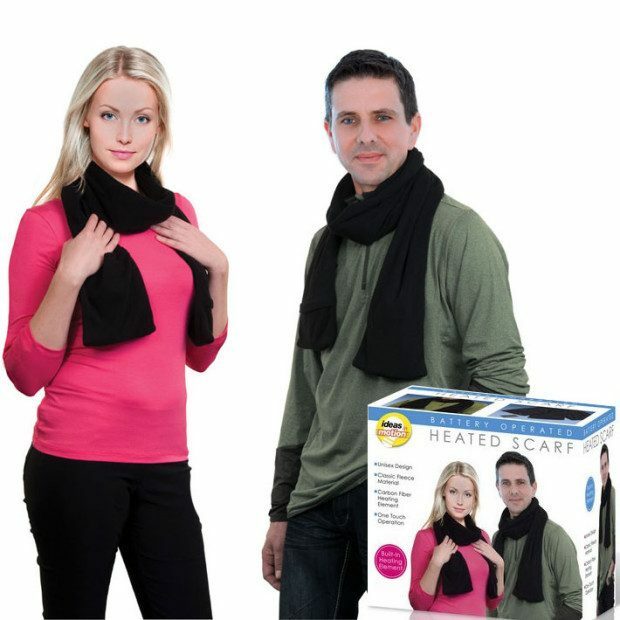 Battery Operated Unisex Heated Scarf for Just $12.49! Ships FREE! You are here: Home / Great Deals / Christmas Deals / Battery Operated Unisex Heated Scarf Just $12.49! Ships FREE! Battery Operated Unisex Heated Scarf Just $12.49! Ships FREE! You have that one friend who is just never warm enough no matter how they wrap themselves up. Now’s the time to turn up the heat! Order the Battery Operated Unisex Heated Scarf for Just $12.49! Extra long with pockets! Ships FREE and will arrive for Christmas! Combat the freezing temperatures with a battery operated scarf that features a heating element powered on and off at the flick of a switch. Use the handy switch to power the built-in heating element, and a gentle warmth will radiate throughout the poly-fleece construction. Click here to check out more Great Deals!